It’s not uncommon for patients of Westside Dental Associates to ask us about tooth sensitivity. Many experience it, but few know why. In today’s post, we’d like to look at the topic of tooth sensitivity and explain just a few of the things that can cause it. One of the primary causes of tooth sensitivity is gum recession, which itself if caused by gum disease. When gum disease isn’t treated, it can cause the gums to recede, exposing more of the tooth and increasing one’s sensitivity to things that are hot or cold. Treating gum disease early, before it has time to become more developed, will help patients prevent gum recession and the sensitivity related to it. Are you brushing correctly? If you’re not, that could be what’s causing your tooth sensitivity. Brushing aggressively with a hard-bristled brush can harm both your teeth and your gums. If you have questions about how to brush correctly, Dr. Latner would be happy to demonstrate the next time you come to our Los Angeles dental office. Bruxism, a stress-induced condition that involves teeth grinding, can lead to cracked teeth. When that happens, bacteria can get inside the tooth to the nerve, causing tooth sensitivity. 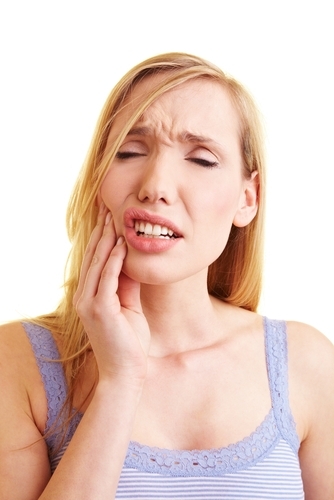 Clenching, biting your teeth extremely hard, can do similar damage as bruxism and cause tooth sensitivity. An oral appliance can help patients stop teeth grinding and prevent cracks from forming. Some patients who are between the ages of 25 and 30 will experience an increase in sensitivity. If you are between these ages and have noticed a change, talk to Dr. Latner. Don’t live with uncomfortable tooth sensitivity. Call Westside Dental Associates today to schedule an appointment with our Los Angeles team. We provide care to patients from Santa Monica, Beverly Hills, West LA, Mar Vista, and beyond. by: Les Latner at July 9, 2013 .